SNHU’s fall 2018 campaign encourages people to find their breakthrough moment – something the university can help them create. By removing the obstacles that have kept them from completing their degrees previously, students can break through those physical and mental walls. The design matches this strong statement, with its bold typography and authentic photography. 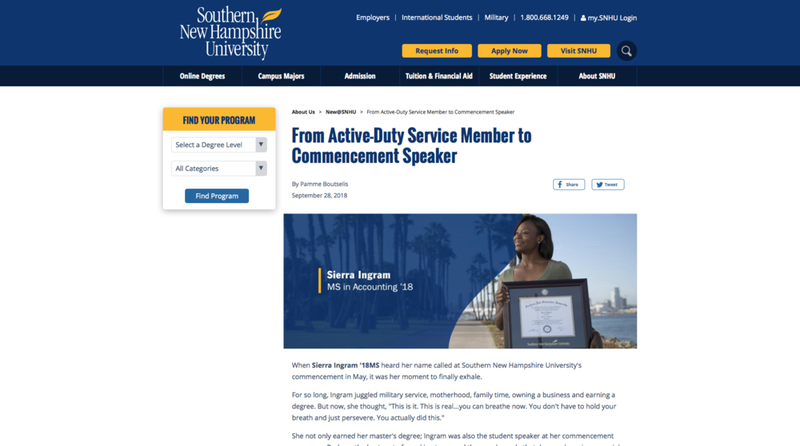 The supporting assets for the campaign include updates to the snhu.edu website design, digital banners, content articles, print ads, and paid social.